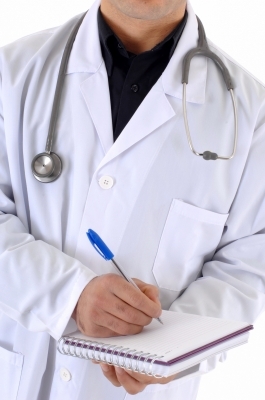 Celiac disease diagnosis, how can your doctor be sure? How can I be sure I have celiac disease? Before going to be tested for celiac disease its important to continue eating your regular diet that contains gluten. If you stop eating gluten all of a sudden and then get tested for celiac disease your results may show false negative, you may test that you do not have celiac disease when in fact you really do. More people than ever are getting diagnosed with celiac disease. An estimated one out of 133 Americans have the disease. Many people go undiagnosed and suffer long term ill health because of its effects. If you have a family history of celiac disease there could be a chance you have it too. The symptoms of celiac disease can vary from person to person so its very important to pay attention to your body and visit your doctor regularly. What kind of tests can be done? Blood tests are used to determine if you have elevated antibody levels- a sign of celiac disease. The person with celiac disease’s immune system will recognize gluten as a foreign substance and try to fight it by raising the number of antibodies. If the blood test comes back showing elevated antibody levels your doctor will then perform an internal tissue check. At the internal tissue check a small, thin microscope tube is inserted into the small intestine through your mouth (don’t worry- you will probably be asleep during the test). A specimen of tissue is then collected and evaluated by your doctor. If the specimen shows signs of damage to your villi (villi are small, finger like protrusions located in your small intestine that allow nutrients to be absorbed into the body when eating food.) you may have a celiac disease diagnosis. The diagnosis of celiac disease is confirmed after the positive biopsy when the patient sticks to a gluten free diet and his/her small intestines heal. Overall improvement of celiac disease symptoms will subside resulting from the elimination of gluten. What if the diagnosis comes back positive for celiac disease? If your doctor comes back with a positive celiac disease diagnosis he or she will recommend a strict gluten free diet. A diet containing no gluten will give your intestines a chance to heal and your body will be now able to process the food you eat providing the important nutrients it needs. A gluten free diet is the only treatment for celiac disease.